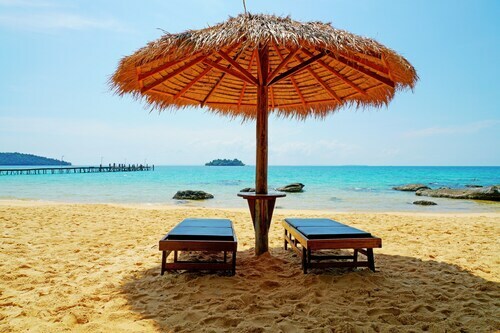 Get instant savings by booking a Koh Rong travel package. Just pick your favourite options and Expedia will do the rest. Smart travellers can save up to $200* by purchasing a combined package deal on Expedia. You can choose from more than 400 partner airlines and 321 000 worldwide properties via our extensive database of flights and accommodations. Fly with who you want, stay where you like — now that's the perfect holiday! You can make changes to almost any hotel reservation and you won't pay any extra fees to us. It's enjoyable to just wander the streets when you're somewhere new, but sometimes it's a wise move to form a plan. 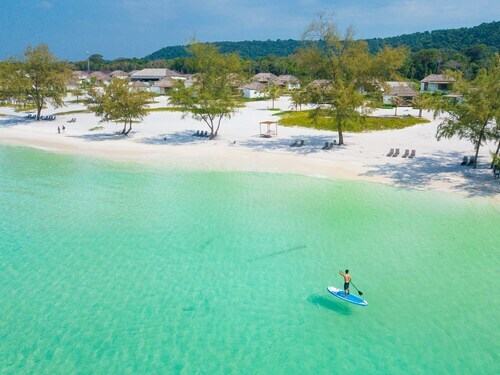 Grab your travel schedule — we have lots of cool ideas for your impending Koh Rong holiday. You never know what treasures could end up at your feet at Lazy Beach. Take off your shoes and stroll along the water to see if you come across some stunning seashells. There's a great range of things to do nearby. Inhale the clean, salty air and enjoy watching the squawking birds speeding through the sky at Saracen Beach. A day spent near water will brighten up your day. Still got some time on your hands? Stop and see Koh Rong Sanloem Lighthouse, an endearing landmark whose light has guided ships through thundering storms and dark nights for many years. 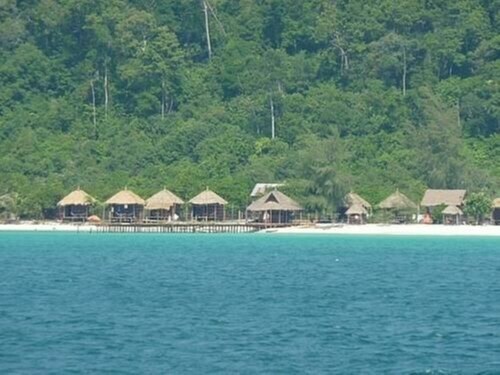 Seeking out cheap holidays or luxury getaways in Koh Rong? Expedia has only 9 properties, so right now's the time to book your accommodations. Begin your holiday on a lavish note by sliding between the high thread count sheets at the Song Saa Private Island (Song Saa Private Island). 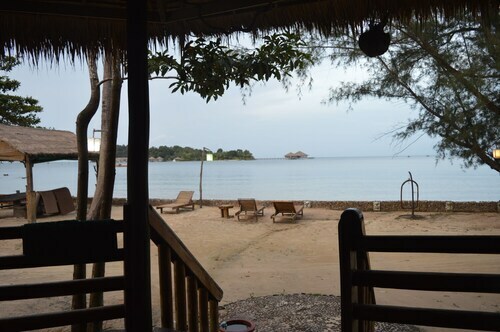 Alternatively, the SOK SAN NEW BEACH BUNGALOW (Sok San Village) is a terrific place for the money-conscious traveller to spend their evenings. Phnom Penh International Airport (PNH) is located 120 miles (193 km) northeast of central Koh Rong. Find your luggage flag down a cab and let your getaway begin! 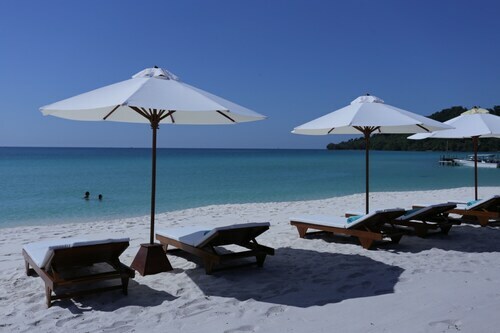 Situated on the beach, this hotel is 2.5 mi (4 km) from Long Set Beach and within 6 mi (10 km) of Sok San Beach and Coconut Beach. Lonely Beach is 8.7 mi (14 km) away. Wed., 9 Oct. - Fri., 11 Oct. 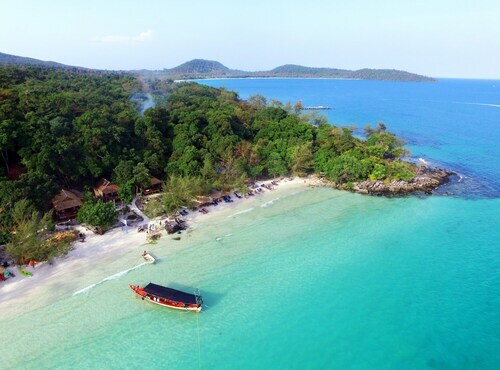 Looking for Flights, Hotels, Car Hire and Holiday Rentals in Koh Rong?